This problem is probably known to every sewist out there. 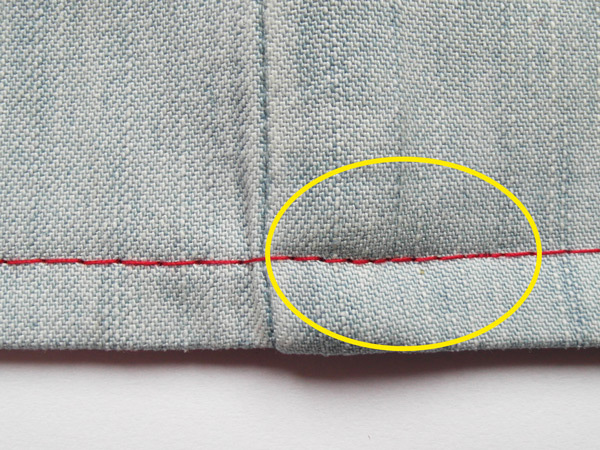 I’m going to show you how to obtain nice, even stitches while sewing over the bumps. How does this problem look like and where does it come from? Most often a sewing machine reduces stitch length while sewing over a bump. 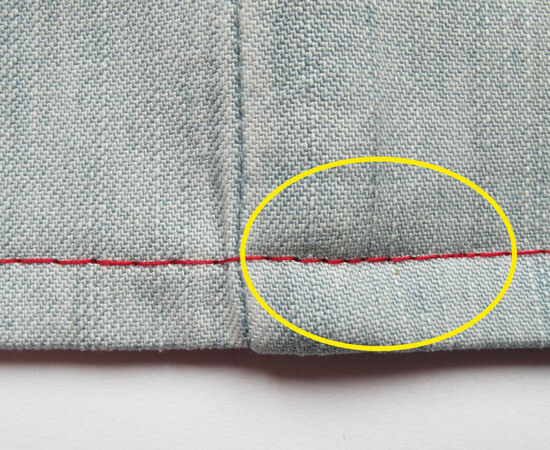 Also the stitch line can be slightly deformed. It may not be visible from a distance, but if you can do it better than why not? The problem occurs because the front of the presser foot is raised, and the foot presses against a fabric. This interrupts the fabric movement. How to sew over bulkiness? The solution is simple – you need to align the level of your presser foot. To do that put something under the back of the presser foot e.g. folded fabric. Now the problem is eliminated, the presser foot can slide over the fabric again which results in a nice seam. How to close a seam opening? Ladder stitch. Sewing corners with bias tape.